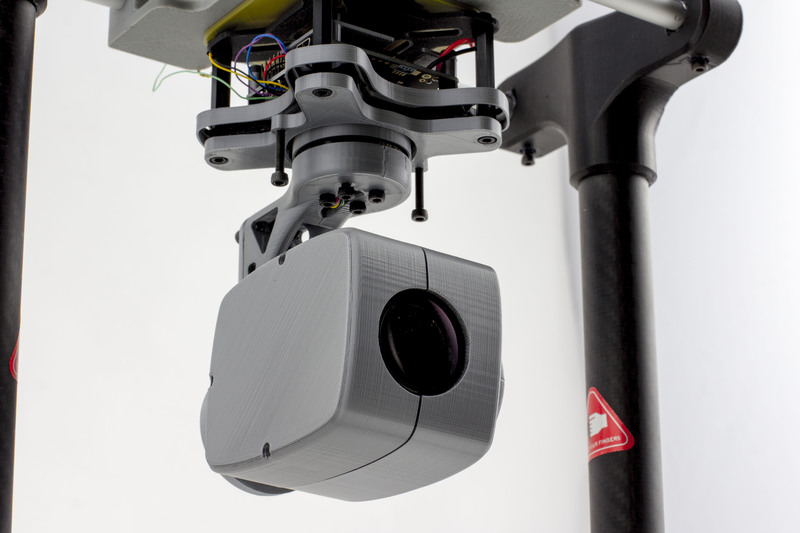 Interested in a adding optical zooming to your DIY UAV systems? It is now possible to build a field tested zoom gimbal by yourself. 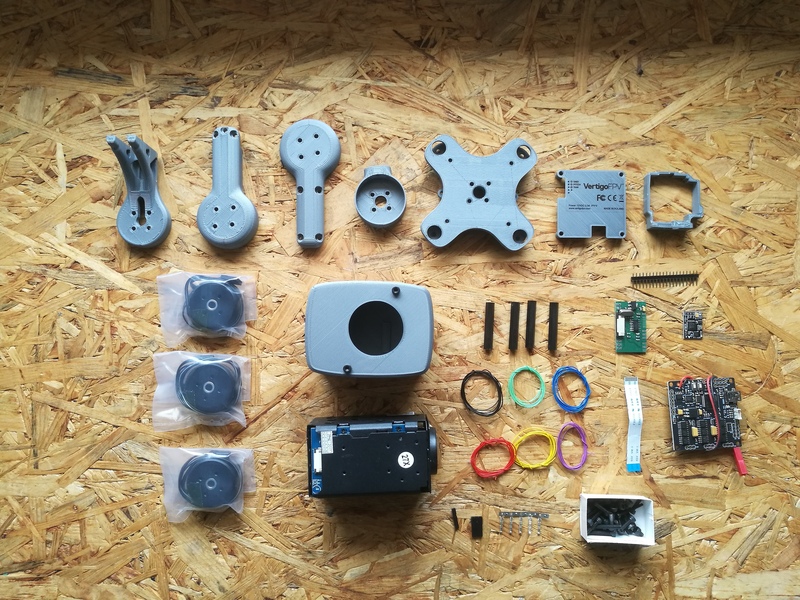 Vertigo DIY kit gives you an opportunity to enter the specific fields of drone services such as emergency, surveillance, monitoring, agriculture or computer vision development. We prepared 3 buying options: Full kit + .STL’s files, Electronics kit, and .STL files only. This is the best price solution on the market right now, and it will bring you most of the functionality that is brought by professional UAV systems on the market in any drone capable of lifting 398g | 0.87 lbs of payload, and it will work fine in most diy multirotors and some larger airplane frames. If you have an access to 3D printer you will be able to produce several pieces for yourself, and start some larger scaled missions quite fast. We are excited to see what upgrades are introduced in your versions of the gimbal, so please share your builds with us. We hope it will help to develop better solutions in future for all of us in DIY community. We recorded a full assembly tutorial, so the build should go very smooth. If you need more assistance please feel free to contact us directly (via contact@vertigofpv.com) as well. First 4 sets sold to diydrones.com users will also include parts already printed for your convenience. Hope you will have a great time building your own zoom gimbal. Damian, it is a surveillance camera, it is PAL, same format you can transmit with any analog video TX. It is not a to make nice youtube videos. Do you slow movements when zoom in? I see you have another cameras with digital output, Has you researched about tracking and digital stabilization for this sensors? we provide a USB 3.0 variant of the 30XHD V3 gimbal. It allows a very straight forward connection to a Rpi, Odroid or Tx2. 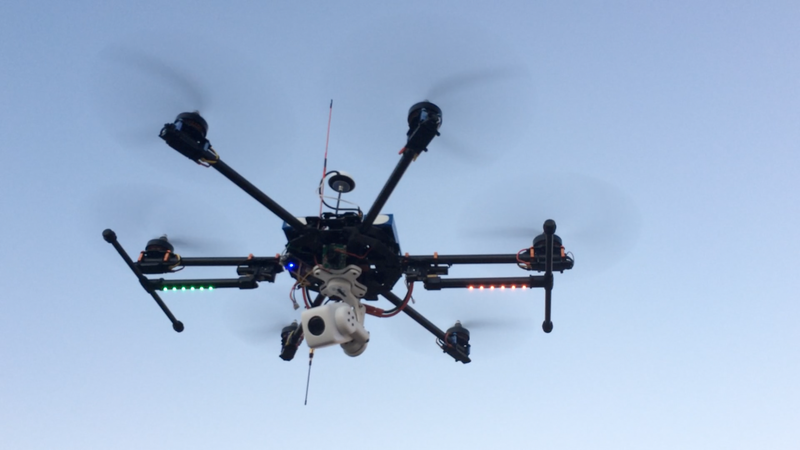 We have a digital stabilisation code that works, but it is not yet implemented in the gimbals. now this is interesting. Maybe I can ask: Does your stabilization works only on the video feed, or does it also in addition use data of some sensors (gyro e.g.)? OlliW, Maybe even in the opposite direction, that the stabilizer acts on the gimbal to maintain a frame and compensate the drift of the sensors. You are doing a great job with the STorM32, I would like to face the development of a camera for our drone and we are sure that we will go to STorM32. I have seen that you are supporting UAVCAN in your new controller!! !